WE ARE OHIO’S FIRST & ONLY SELF-SERVE FROZEN YOGURT TRUCK! Indulge yourself with our soft-serve froyo with beneficial live and active yogurt cultures! Wherever we go we give you the chance to create a delicious masterpiece. Flavors range from Tahitian Vanilla to German Chocolate Cake, Peanut Butter Cookie Sandwich to Pineapple Whip. We have over 12 daily flavor options. You can load up your creation with Sprinkles, M&Ms, Peanut Butter Cups, Strawberries, Blueberries and 20+ more! With all the flavor and topping choices you could come to the truck dozens of times and each visit can be unique! We are now booking for 2019! Bring the truck out to your birthday party, graduation party, wedding, corporate event, etc. Contact us to check on our availability and how we can create a fun, family friendly environment at your next event! Opening Spring 2019! 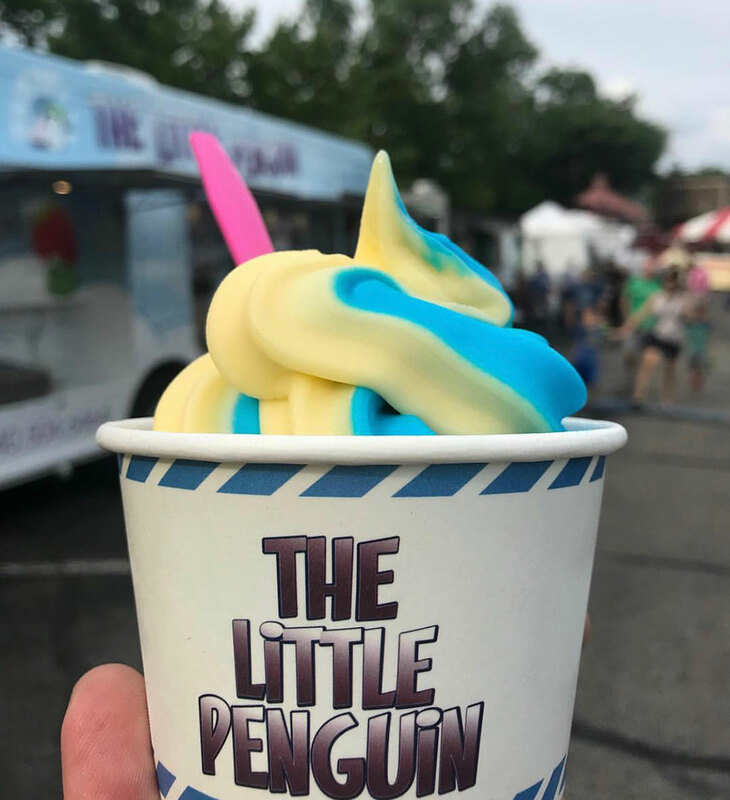 The Little Penguin Shop in Olmsted Falls, Ohio!